In STEEPS categorization, this seems primarily a Political/Policy, Economic/Entrepreneurship, and Technological counterfactual. In 2000, if the US decided to start subsidizing the growth of the Information Superhighway, and made low-cost fiber and high-speed cellular access a public right, the way Finland did with internet access in 2010, how much farther along would the web, mobile and the internet of things, and all the technologies and business models we can build on top of these critical communication technologies, be today? Telecom and cable oligopolies naturally seek to slow down the growth of wired and wireless bandwidth, as more bandwidth has the potential to deeply disrupt their current business models. Several urban broadband initiatives have been successfully sued by cable oligopolies, to prevent competition from emerging. The same kind of blockage to commerce and movement occurred in the era of private roads and turnpikes in the US, before they were nationalized, and highway access was made both a public right and free public good. If we’d had real political leadership on bandwidth, access, and affordability issues beginning in the early 1990s, when the information superhighway term first gained currency, and legislation in 2000 at the height of the first internet boom, how much better would the US and the world be today? Many of the lessons of this counterfactual are still to be learned. Let’s start with a little history. It is ironic that the internet and web, perhaps the most valuable complexity construction project humanity has ever engaged in, began as a response to the rapid growth of nuclear weapons, perhaps the greatest single risk humanity created for itself in the 20th century. In 1959, Polish engineer Paul Baran, working at the foresight think-tank RAND, was put on a project to harden computer systems to nuclear attack. By 1961, he was looking for telecommunication system designs that could operate under conditions of partial nuclear destruction of the network. That challenge led him away from conventional hierarchical node-and-spoke network designs and into the natural security principles of node (transmitter-receiver) decentralization, redundancy, self-directed messaging (self-routing autonomy), and digital packet switching. According to Andrew Targowski’s The History, Present State, and Future of IT (2015), Baran got many of these ideas in an early discussion with an MIT neurosurgeon, who talked about the brain as a distributed network. 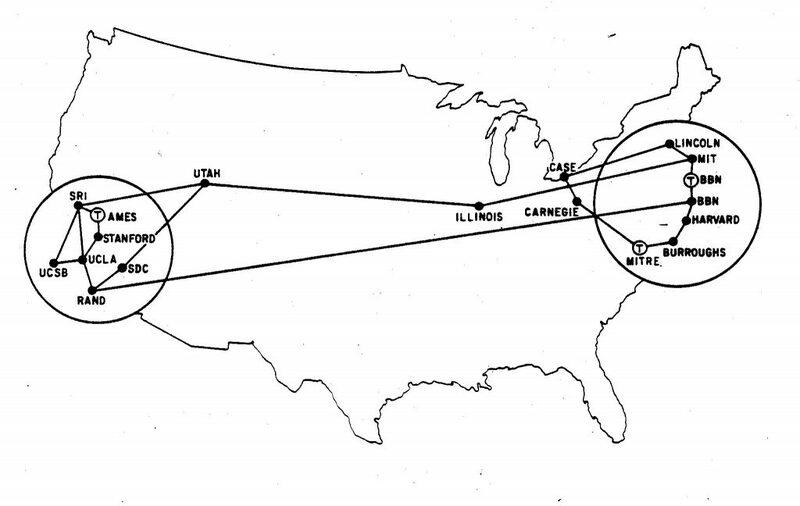 Humanity’s first computer network began as a military network, ARPANET, in 1969. In 1972, Baran proposed the Department of Defense split ARPANET into two networks, MILNET for military and INTERNET for civilian purposes. Internet co-founders Robert Kahn and Vint Cerf developed the communications protocols for ARPANET in 1973. The civilian internet emerged in stages, beginning with the internet protocol suite (TCP/IP) in 1982. Commercial traffic began soon after, and it was finally made legal in 1995. Also in 1972, a prototype internet called INFOSTRADA was built in Poland, partly financed with $1M by the US corporation Singer, as an R&D project for them for potential use in the US. INFOSTRADA was originally conceived as an open data network for its worker-citizens. Quite predictably, Poland’s totalitarian government hobbled it from the beginning, and they shut it down in 1974. But the network was covered in the US magazine Computer Weekly, its name translated to “information street”. As high-capacity fiber optic networks emerged beginning in 1977, this term for the internet became the “information superhighway” a term used in a few publications in the 1980s. In 1991, senator Al Gore began using the information superhighway term in interviews. He introduced and promoted the High Performance Computing Act of 1991, also commonly known as the Gore Bill, which among other things provided early funds for a national fiber-optic network. The superhighway term, and to a lesser degree another phrase, the National Information Infrastructure, continued to gain recognition through the 1990s, right through the first internet boom, aka. the “Dot-com bubble” of 1995-2001. 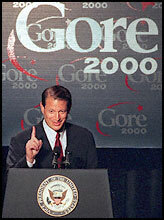 As older readers will recall Al Gore was vice president under Bill Clinton 1992-2000. He ran for President and narrowly lost to George W. Bush in a controversial election in 2000. To start our counterfactual, let us imagine that Gore won the narrowly-contested 2000 election, perhaps in a Florida revote, mandated by a more democracy-minded Supreme Court. In his first hundred days, President Gore made internet bandwidth, access, and affordability a signature issue of his administration. Congressional partners crafted legislation aimed at massively growing the information superhighway. Crucially, this legislation mandated both private and public versions of high-bandwidth wired and wireless communications networks for America’s 21st century. In this alternative history, to sell the idea of a public information superhighway, Gore reminded America of all the obstruction that originally occurred on private roads in the 18th and 19th centuries in the US. In the era of private roads, unscrupulous private turnpike operators often charged exorbitant fees for access to any roads that were “natural monopolies” along the emerging transportation network. As a nation, we eventually realized the cost of this private obstruction of traffic, and the value of maintaining free and open public roads. Roads were nationalized, private owners paid for them according to some scheme, and future access was made a public right and free public good. The nation benefited tremendously as a result. Historically, private owners of both transportation and information networks have sought to charge exorbitant fees for their growth and maintenance, and of course, maintain their monopolies. In America, we’ve increasingly allowed the builders of the information networks to also sell information services over their networks, creating a deep conflict of interest. Under such conditions, network owners benefit financially from slowing down the growth of the network, because as bandwith grows, new players on the network can increasingly disrupt their business models. In an information-enabling economy, you thus either need to prevent network operators from selling information services via antitrust law, or offer both public and private networks. This set of alternatives became known as “Gore’s choice.” In our counterfactual, we debated these two roads and chose to offer dual public and private networks beginning in 2000, letting private network owners offer whatever services they wanted on their own networks. But just as private companies are hired by government to build and maintain our current highway systems, private companies were hired, under competitive bidding, to build and operate our public information highways, which became a steadily improving public good available to all citizens, and a counterbalance to the private system. So-called “Net neutrality” laws emerged soon for the public networks, but were largely abandoned for private networks, which continued to grow and offer many premium services. Yet as those private services became commoditized, and their technologies easy to install, they regularly migrated to the public networks, which were run as public-private partnerships, with short terms of operation and competitive bidding at the end of each term. In our history, by 2004, the Supreme Court had upheld that at least half of wireless spectrum was to be reserved for public networks. Stringing and maintaining public fiber to every home, and providing public cellular service proved to be much easier, in many ways, than building and maintaining our public roads. The public recognized government’s unique ability to accelerate the growth of these information networks, and access to them was made a public right, the way Finland did with internet access in 2010. 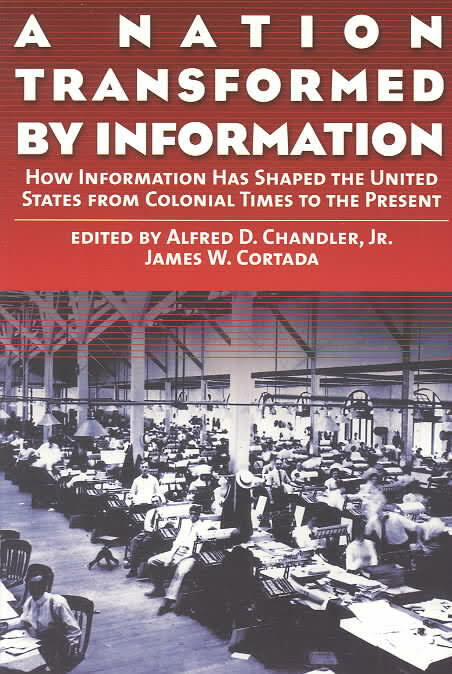 Returning to real history now, the esteemed American historian of business, Alfred Chandler, published a prescient edited volume, A Nation Transformed By Information: How Information has Shaped the United States from Colonial Times to the Present (2003). This book makes the case that one of the defining features of American business, a feature that defines our exceptionalism, has been our particular openness to and aggressiveness in the use of information. Many information revolutions have occurred in American history, each typically in more extensive, bottom-up, and uncontrolled ways than in other countries with more conservative political regimes. The continual production of better information is one of the most important reasons we became the innovation, business, and political leaders that we are today. This is not yet a well-recognized insight. The field of information economics, and its role in what is now called endogenous growth theory, is still in its infancy. Information is different from just about every other good, as it is so easily sharable once created, it benefits from the massive deflationary improvement in IT hardware and software, which can be used to create exponential social value, and the transparency and feedback that emerge in an information-rich society accelerates social learning, and the discovery and creation of more positive sum goods and services for society. The economist Paul Romer essentially founded information economics in the 1990s, but most scholars and politicians still don’t appreciate how important information is today, and how much value accrues to the countries and the companies that accelerate its evolution and development. As The Economist editors note, Chandler once called the history of American business after the civil war as “ten years of competition and ninety years of oligopoly.” This is a bit pessimistic, but only just a bit. The 1860’s to 1900 was America’s Gilded Age, a time with many parallels to today. It began as an age of competition and connectivity, then we saw the growth of growth of titans of industry, just like our internet today. Telegraphs were that era’s internet, as Tom Standage covers in The Victorian Internet (2014). Railroads, steam, and steel created physical connectivity. See Stephen Ambrose’s Nothing Like it in the World: The Transcontinental Railroad 1863-1969 for a particularly great story. In that time, the US government fueled competition, continually pitting two companies, the Union Pacific and the Central Pacific, against each other in a race for staged funding to build the network. In a more competitive world, we would have built out our gigabit fiber and gigabit wireless in the same way. But rather than recognizing the internet as a pubic good, and making sure every citizen has a right to cheap fiber-to-the-home, our governments have colluded with big business to slow down access at many points in our history to date. What’s worse, whenever local counties have tried to build their own internet and wi-fi, they’ve been successfully sued in court by the cable and other monopolies, to prevent competition from emerging. Consider this revealing story. 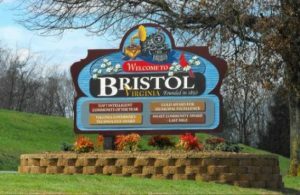 In 2000, the year the first internet hype cycle bubble popped, the town of Bristol, Virginia, population 18,000, did a sober assessment of its economy, and realized that its agriculture, tobacco, textiles, and coal industries were all phasing out. They decided to bring broadband fiber to the premises (FTTP) for all of their inhabitants, in a bid to grow their high-tech and online company base, and make their town competitive in the digital economy. The big telcos leaned on the State of Virginia to tell them they couldn’t do this legally. They had to sue even for the right to set up their own networks. By 2003 Bristol had won in the courts, and they built their fiber network in just two years. Residents of Bristol now have cutting edge broadband to their homes and businesses, and have pulled in lots of new companies to use this platform, and created many new jobs. But today, Bristol Virginia is still one of only a handful of FTTP deployments in the U.S. You won’t hear much about Bristol in the media, but they are trendsetters nonetheless, exceptional in the courage of their leadership. In Feb 2009, the U.S. congress directed the FCC to deliver a national broadband strategy within a year. In Mar 2010 the FCC caved to political expediency and powerful corporations and delivered a vastly underwhelming plan. As to Jim Baller of the watchdog group the US Broadband Coalition (USBC) noted, there were “no ambitious, bold goals” in this plan. The FCC targets were a laughable 3-4 megabits per second downstream, getting to everyone in the next five years, with no mandates for 100 megabits in our major urban centers, and nothing mandating fiber even to the node (the local street cabinet) much less the home or office, and with no fast-track provisions for homeowners or neighborhoods to group pay to get last-leg fiber delivered to the home. In my and others opinions, the 2010 FCC plan was been carefully crafted to stall real broadband as long as possible, and make money for the corporate elite for as long as possible, public interest be damned. I doubt things have gotten any better since. In many ways, this is a predictable result. As the 18th century political economist Adam Smith noted in his Law of Accumulation, new economic markets can begin chaotically and competitively, but as winners emerge, they naturally consolidate. They then use their growing political influence to change the laws to favor them, and the market turns counterinnovative. Our information economy is no exception to this. There are many forces presently opposing the growth of bandwidth on web. The most important braking force is the role of oligopoly, the consolidation of web technologies and businesses in the hands of a few key players, who make far more money with their hierarchical business models and walled gardens than they do from a fully open web. Timothy Wu’s Master Switch: The Rise and Fall of Information Empires (2011, latest version) is a great introduction this for the web. The Economist’s special report, In the Shadow of Giants, Sept 17, 2016, also offers a brief and excellent overview of the rise of the new megacorporations, and loss of innovation, choice, and progress that consolidation and oligopoly bring as they occur. Unfortunately for us all, telecom and cable oligopolies will naturally seek to slow down the growth of wired and wireless bandwidth, as more bandwidth disrupts their current business models. Consider, for example, the coming emergence of Open Internet Video, which can emerge once we have reliable gigabit broadband in our homes. In a world with gigabit broadband, we can have tens of millions of channels, and millions of specialty video producers offering their products to viewers on every topic imaginable. Open internet video will be supported by subscriptions, micropayments, and highly personalized and targeted advertising, in which immediate feedback by the viewer can be used to make every advertisement more relevant and useful to each consumer. The most popular advertisements on that platform will be ones that directly reflect our interests, are rated highly by our peers, and that involve local offers. All the other ads will no longer get into our homes and into our minds. We’ll also have low-priced editing and remix rights for digital content, with payments for reuse and remix rights being handled automatically, by the same software that guides us to the kinds of education, entertainment, and commercials that we want. The truthfulness, quality, and relevance of the text we read and the video we watch will also be greatly improved by the growth of the knowledge web and smart agents. Groups like the Alliance for Open Media envision such a world, but this is a very different video world than we live in today. Big Media and Big Telecom are going to fight the emergence of open media as long as they can. Nevertheless, as I argued in How the Television Will Be Revolutionized (2010), some kid in their dorm room will inevitably invent such a platform, and as soon as our bandwith allows it 20-somethings everywhere will start to use it as their preferred video platform, just as Napster and BitTorrent went viral in the 1990s and 2000’s. Consider that at present, some 25% of Americans apparently run adblocker software, applications like Adblocker Plus and Ublock. We universally hate being adspammed. Facebook recently managed to defeat Adblocker Plus use on their platform, fooling the software into thinking the ads were informational content. But in the long run, it’s clear this will be a losing strategy for them. Adspam will disappear, just like spam is disappearing today, removed by our increasingly smart personal software agents, which will be our viewing interface to the web. The future of viewing platforms is ad choice, not adspam. Your smart agent’s filter will be will be able to replace Facebook ads with whatever information you want, and keep them from knowing whether your eyeballs and ears were subjected to their spam or not. They ultimately can’t win that battle. But in the meantime, however, they can delay the fight. Presently, the big new information companies, Google, Facebook, Twitter and the like make billions forcing us to watch their content, just like the networks did, and they have broad influence over the politicians setting the rules of the game. Even Google is showing themselves to be averse to fully empowering individual choice. Google isn’t anywhere near as bad as the networks they are seeking to replace, but they are in no rush to give information consumers real choice, even though the technology allows it. They make too much money from their existing AdSense system, in which the highest bidders get access to your eyeballs, and you don’t get to provide meaningful feedback about whether you appreciate those ads. They do allow feedback to some ads. But it’s very weak feedback, intended to blunt our desire for real control. You don’t get to decide, for example, that you don’t want to see car ads, or drug ads, or whatever. Google’s YouTube could easily let you set up an advertising interest profile today, banning all the types of ads you don’t want to see ever again, and with an option to pay more in subscription fees for this privilege. But they won’t do that, unless someone with power calls them out on what they are doing, as their current highest-bidder strategy makes them a lot more money, even though it’s much less desirable for a substantial fraction of viewers who would gravitate to a platform that gave them more choice, even if they rarely exercised that choice. Open internet video and ad choice are just two of the most obviously more valuable social futures presently being held prevented by our lack of real internet bandwidth. Americans are living in the last decades of a gated, lowest-common-denominator information dystopia, and we can expect some things to get worse before they get better. I think a truly progressive information infrastructure would be pluralistic, with competing actors, on both public and private networks. Scores of private companies would be competing with the other on both networks, and our laws would expedite right-of-access in building out and maintaining these networks, over other less important historical rights and encumbrances. Its expanding core would be a free national information superhighway, with many similarities to our physical highways today. We’re still a long way from this kind of world, but we’re lurching closer to it every day. Foresight matters!